Who is our 2018 knitting club of the year? This year we launched the very first Knitting Club of the Year competition. We asked you all to nominate your clubs and leaders and the response was phenomenal. It was a great pleasure to read all of your stories - some sad, some funny, but all uplifting and interesting. This Cheshire club was formed when a local resident bequeathed her yarn stash to the people of Gatley, to be used for charitable causes. 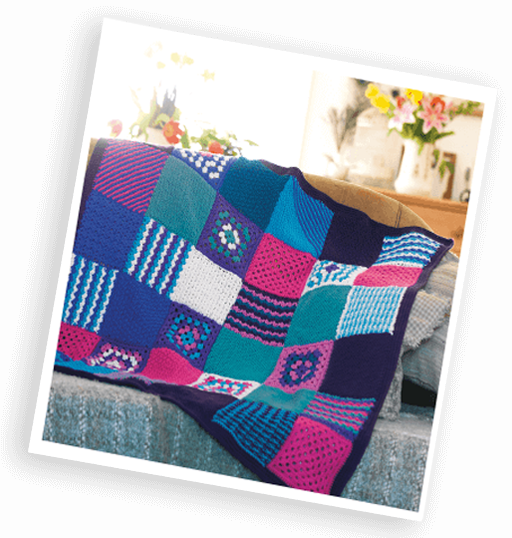 The club has over 40 members and its ethos is to support causes that are special to the local community in devleoping the bond between young, old, experienced, and novice knitters through a love of craft. "The Gatley KnitWits are thrilled to be Let's Knit magazine's 2018 Knitting Club of the Year. We are very much a community club and this will mean so much to all our knitters and to our village. Our group has gone from strength to strength in 2018, increasing our membership with men and women, some of whome are completely new to knitting/crochet and some who are returning to wool crafts or are experienced hands. 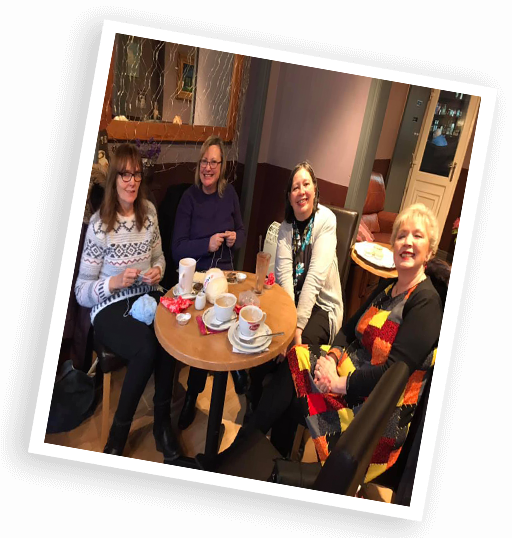 Due to the popularity of our meet ups, we have increased to meeting twice a month and always enjoy a lovely chat and catch up when we meet. This award will certainly give us something to celebrate at our next catch up! We knit for local charities and hospitals using wool kindly donated to us from the estate of a local resident so we can be sure that the wonderful knitting bundle prize from Let's Knit Magazine will be put to very good use!" 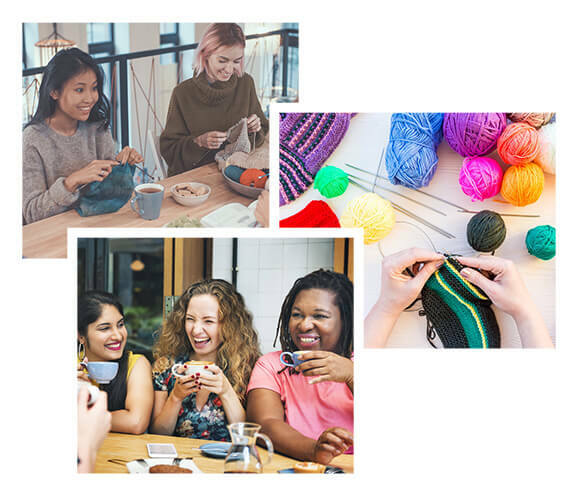 This thriving, lively group has been running since 2012, and the members support one another both in their crafting and more widely. They even offer transport from a local care home so the elderly knitters can join them. Sadly the founder of the group, Barbara Baker, passed away very recently, and the members have been working on a knitted and crocheted wreath to take to her funeral. Our thoughts are with Barbara's family and friends. 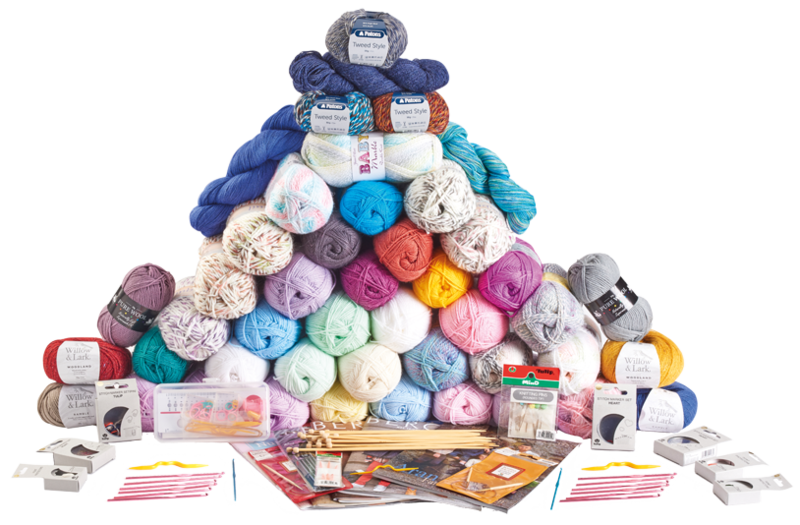 Congratulations Gatley Knitwits, £500 Worth of knitting/crochet goodies will be winging its way to your club soon & we hope that your members enjoy it and keep up the good charitable work that you all do! Your free pattern will be on it's way to you all shortly.